Having been distracted by other areas of work for long enough, I have decided it is high time for me to do some more teaching. I enjoy and value the opportunity to share this doll-making that I am passionate about and to enable others to create dolls for themselves. So if you too would enjoy seeing a character grow in your hands as you develop your dollmaking skills, do come along a join in one of my classes. £120 including materials and refreshments. Please bring your own lunch. You will have the chance to choose skin and hair colour in advance of the class, and whether you make a boy or a girl doll is up to you. As you can see from these photos, dolls cut from the same pattern and using the same materials can develop into very different characters! There will be a lot to get through in just two days, so the workshops will be intense and there sadly won’t be time to make clothes for your doll. To help with this time challenge, you will be provided with machine-stitched body parts for your doll at the start of the classes. All of the sewing work in the two days will be hand-stitching; we will not use sewing machines. The workshop will cover head and face shaping with wool and needle-felting, stuffing and shaping limbs, stitching the body together and crocheting hair. It is not necessary to have doll-making experience (although it is useful), but hand sewing and basic crochet skills are needed. The cost of the workshop will be £120 including all materials for the doll (not clothing). 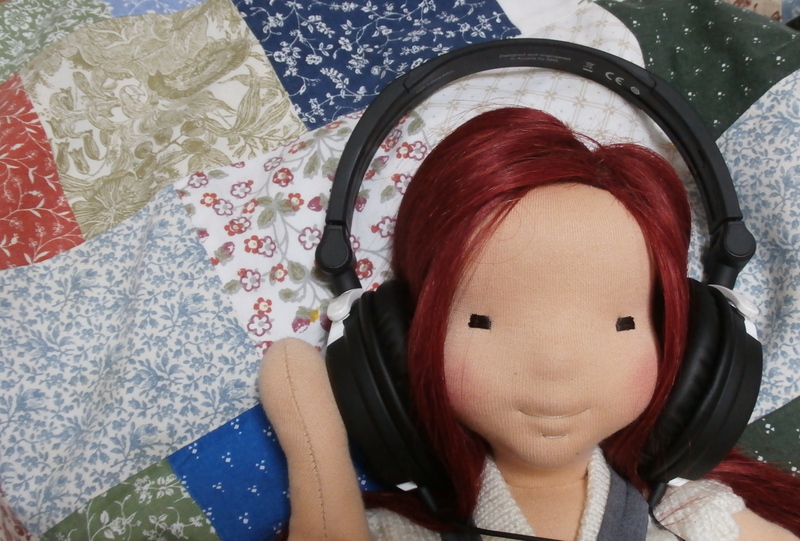 We will be working with high-quality doll-makers jersey fabric, all wool stuffing and specialist mohair yarn for hair. You will need to bring your own sewing needles, scissors and a crochet hook. The classes will be small in order to give more teaching time and support to participants, so there will be only five places in each weekend workshop. You will need to bring your own lunch but refreshments will be provided. Class fees need to be paid in full when booking a place, and are refundable if at least 14 days notice is given before the class start date. If you have any questions or would like to book a place on one of these workshops, do email me at stoffoli@yahoo.co.uk or phone me on 0131 4477817 or complete the contact form on the ‘Contact Stoffoli’ page. For more general information about my workshops, see my ‘Doll-making Workshops’ page.